New video with the latest news on the construction of CBM’s future premises and a recap on everything that’s happened from December 2018 to March 2019. Work began on our future premises in “Viel Hêtre”, Rouillon, France, in December 2018 on a site covering more than 50,000 square meters. 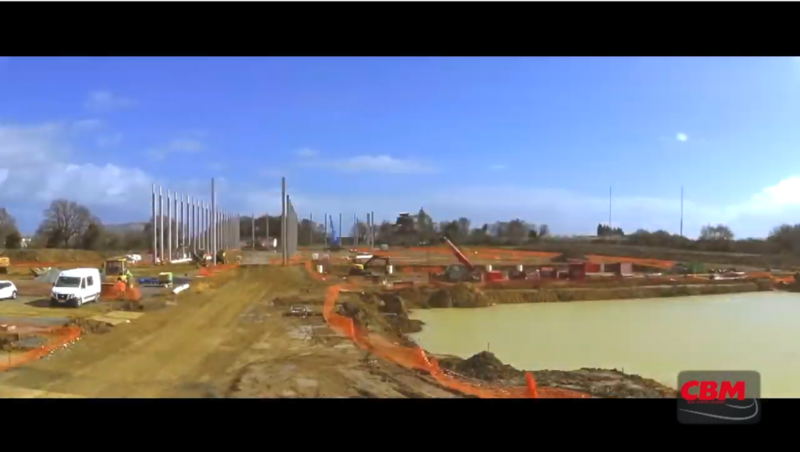 Click on the image to watch the video and get the latest news on the construction of the CBM site! The new building is located next to CBM Group’s current head office on rue Jacques Offenbach, Le Mans, France It will be occupied by CBM’s future head office and a larger logistics platform to better meet the steady growth in our business.